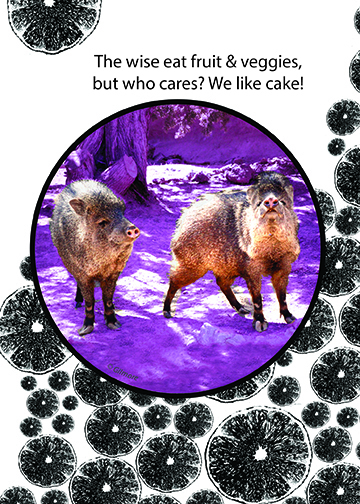 Crystal and her Pal at their nature park home say, "Javelina are cute, but we do not make good pets!" "The wise eat fruits & veggies, but who cares? We like cake!" All cards are 5 x 7 and include recycled envelope. Copyrighted by Species Spectrum 2017© All rights reserved.